You can watch the video below or listen to the audio above. Listen to the end of the audio recording for a funny behind the scenes moment from the ... See More podcast version. 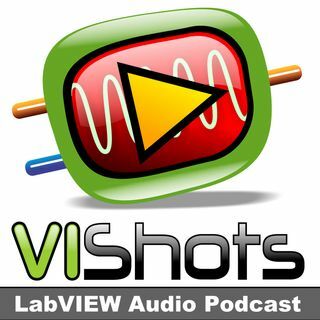 To get notified of future VI Shots episodes, please join the mailing list at vishots.com/subscribe. Google Hangouts - This is a collaboration tool that I use to record VI Shots Live. JoinMe - Lightweight meeting tool. Also has a web interface. GoToMeeting - Highly recommended meeting tool. They also have GoToWebinar, which I've used many times for webinars. Skype - Audio & Video over the Web. This is the main tool I use here at VI Shots for my interviews. TeamViewer - Powerful remote control software. This is expensive but it allows for unlimited hosts with one client. LogMeIn - Remote Control software. This is a lower cost but you pay depending on the number of computers you control.